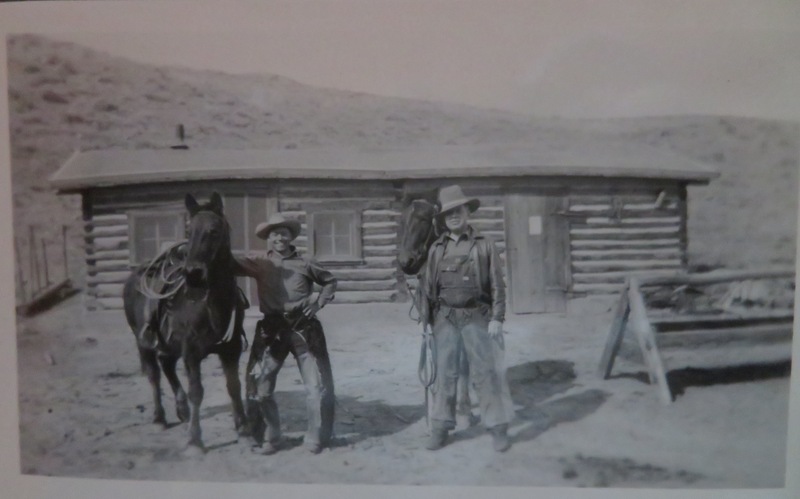 Two cowboys pose in front of our bunkhouse… part of which you can see here, as well. Looks like it doesn’t even have its sod roof yet! Love old photos! Thank you for sharing. Can you comment on the difference in their hats? Or do they appear different because of the “style” of the wearer? It’s just style… what you like, and what looks good on you. There are many styles of cowboy hats that just look funny on me… and styles change with the times. Brings back memories of the black and white TV my parents had where many happy hours were spent watching ‘The Virginian’, ‘Lawman’, ‘Wagon Train’ and many others. I think watching those shows is where my love of wide open spaces began and has never ended.